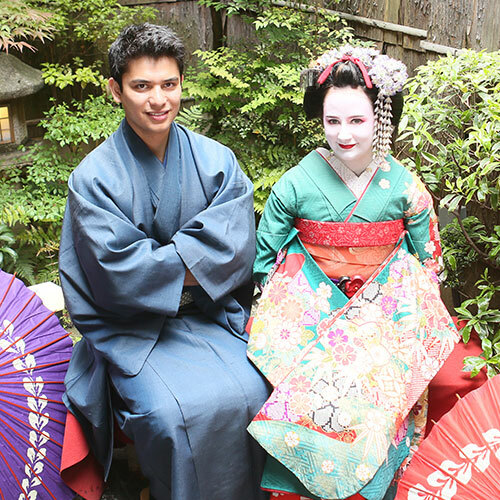 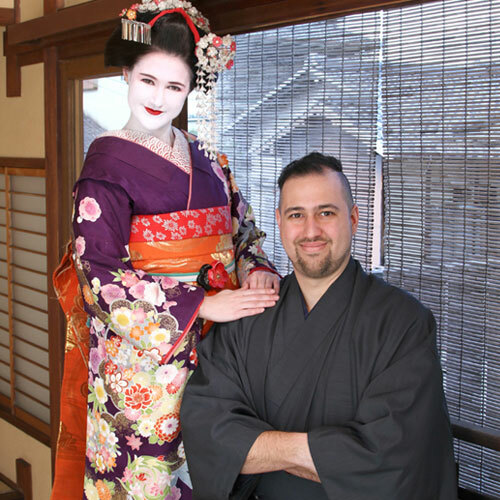 Photo shoot at Japanese traditional 100-year-old machiya townhouse. 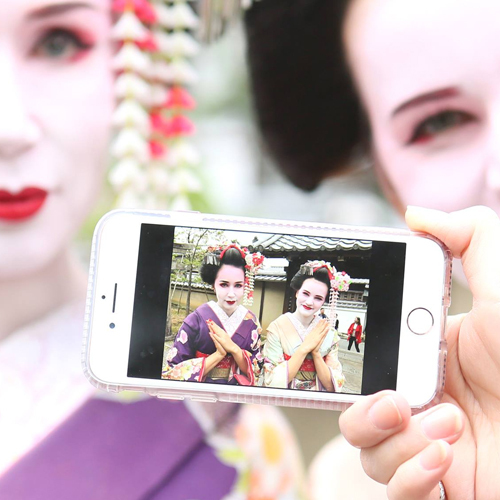 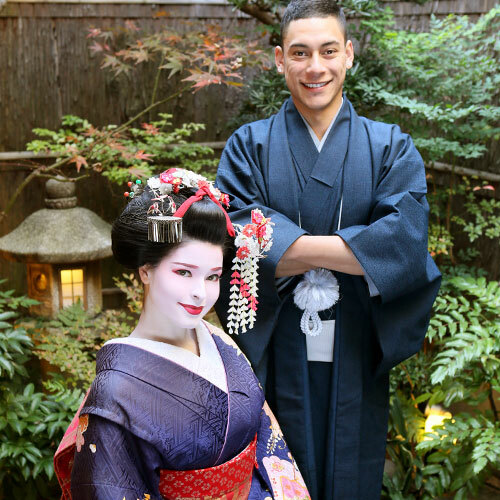 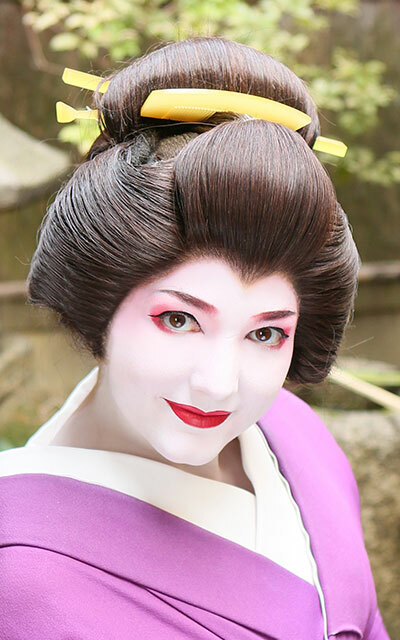 ※This course is not included photoshoot and pictures, just makeover and dress up as Maiko or Geisha. 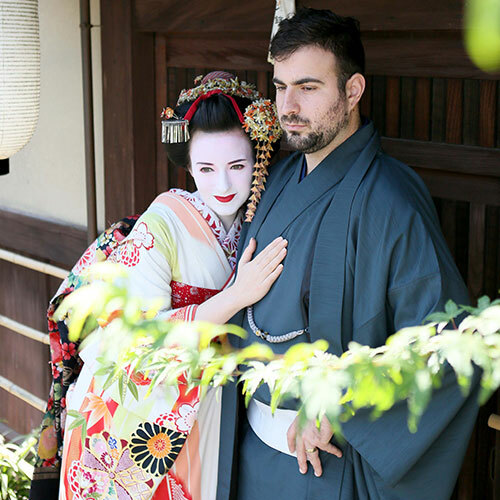 Option for wearing a samurai kimono. 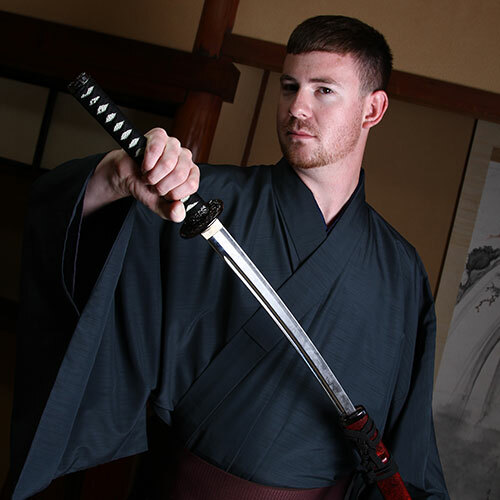 In the event that you wish to add a samurai kimono to a course other than a couple course, please request this option. 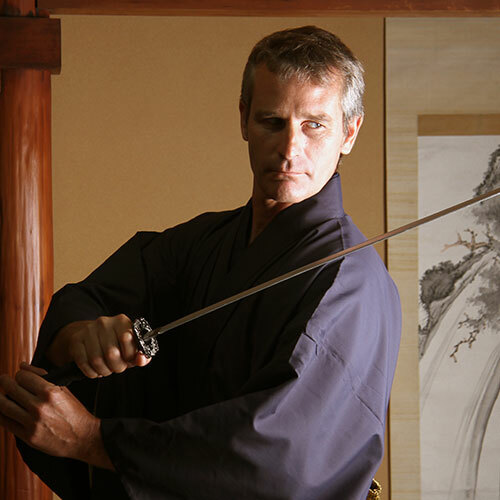 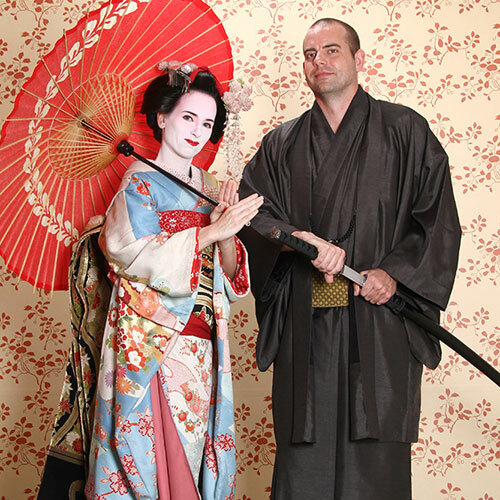 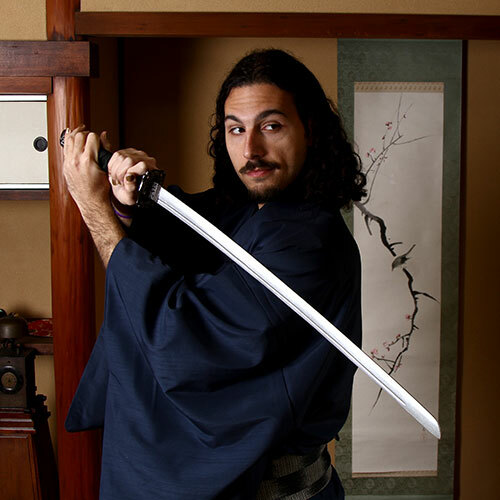 If you wish to be photographed individually in a samurai pose, then additional shots are possible. 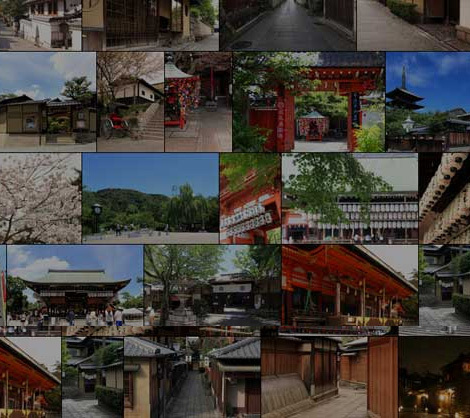 All your photographs stored on CD-R.
You can have the postcards made from your favorite photo. 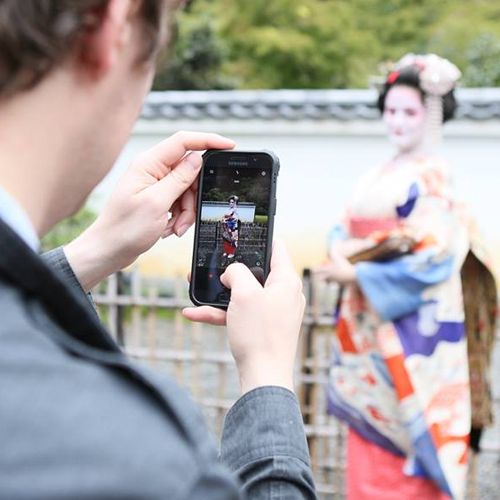 Additional photography at Japanese traditional 100-year-old machiya townhouse. 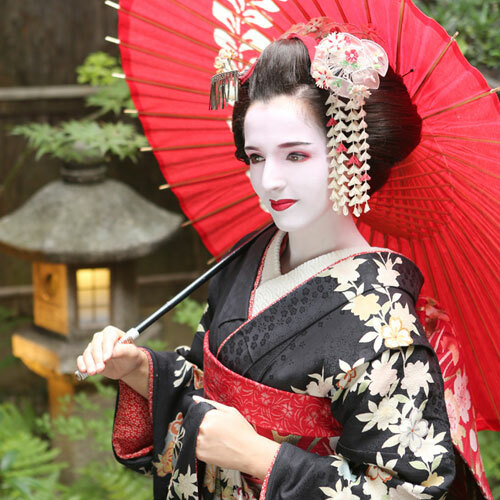 Free choice to the Geisha makeover You can choose the Geisha makeover on all plans. 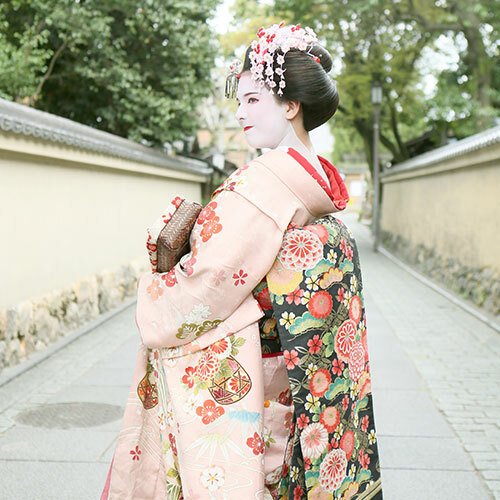 Maiko style is young and cute. 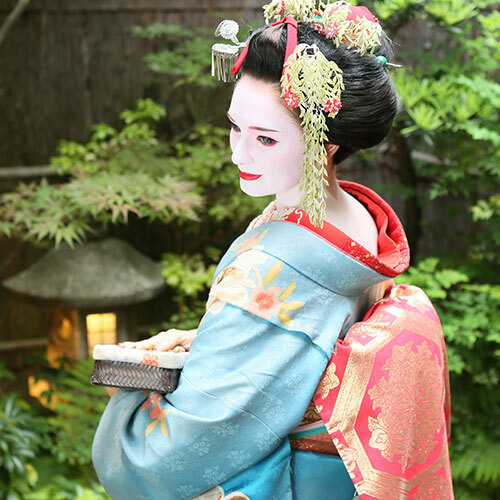 Geisha(Geiko) style is adult cool japanese style. 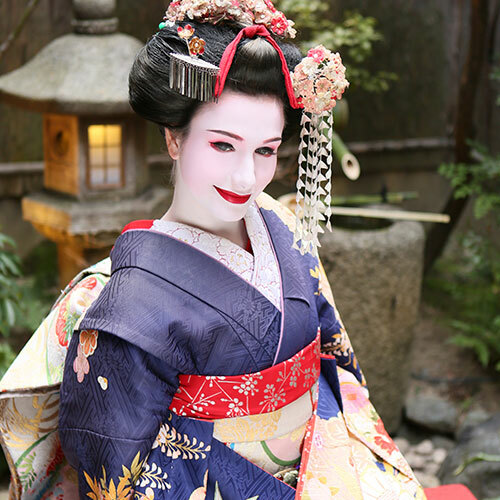 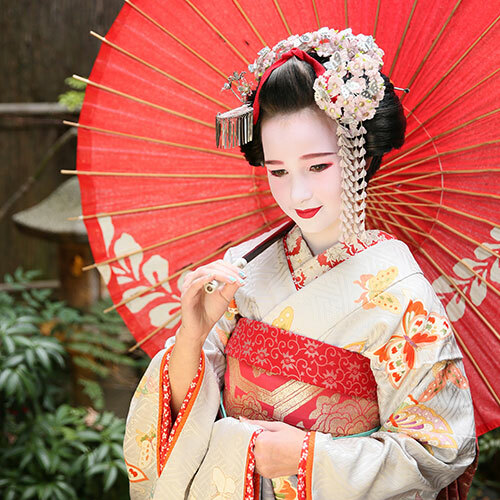 An actual Maiko (an apprentice Geisha or dancing girl) will become a Geisha (Japanese dancing girl) at the age of 20. 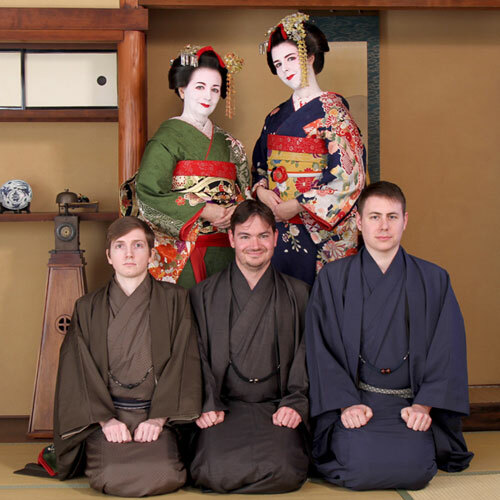 However, as this is a session to experience, please feel free to choose the style you like regardless of age. 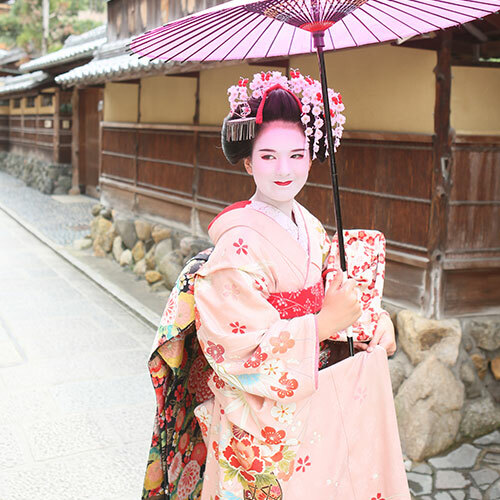 A cute style for makeup is used in order to bring out the youthfulness. 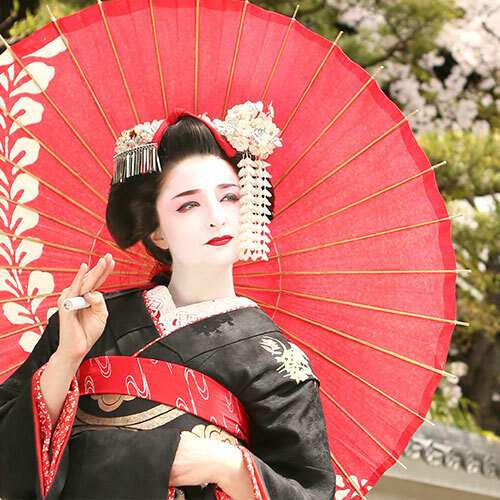 However, a Maiko can also use an elegant style of makeup. 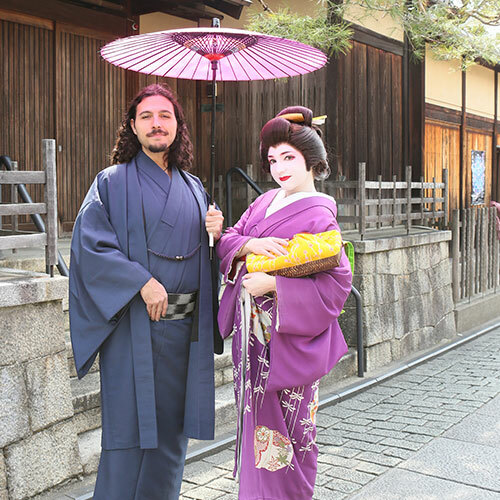 They use ornate hairpins with flowers attached. 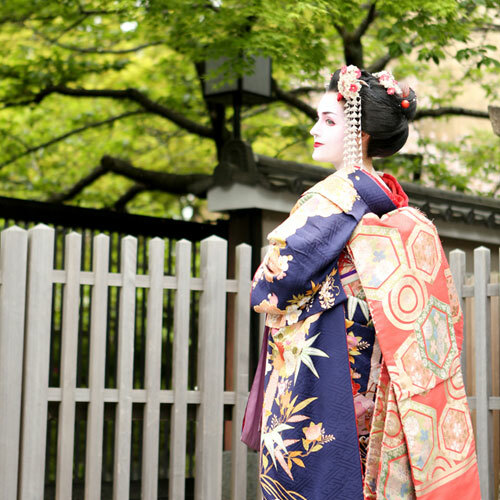 The resplendent long-sleeved kimono (traditional Japanese clothing) and loose obi (belt for kimono) is characteristic for a Maiko. 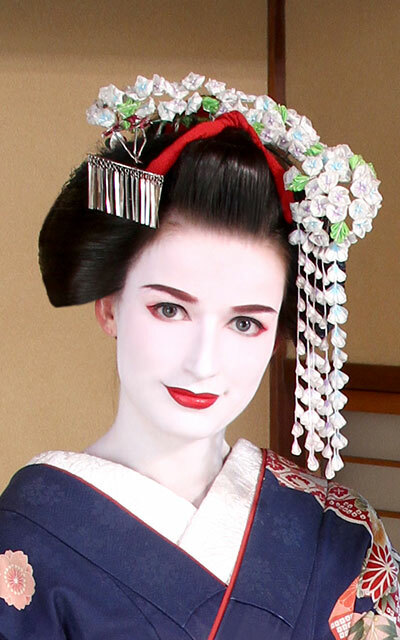 The makeup effect is adult-like and cool. 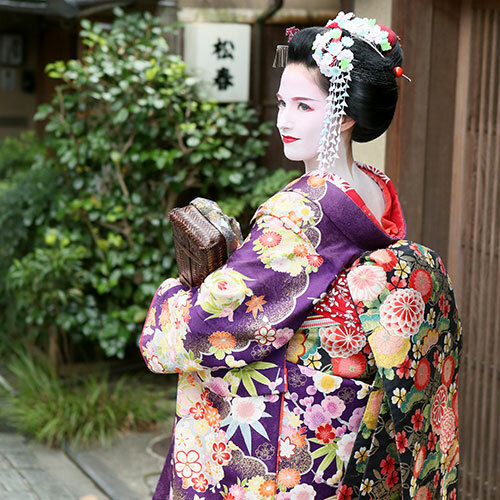 They use ornate hairpins made out of tortoiseshells. 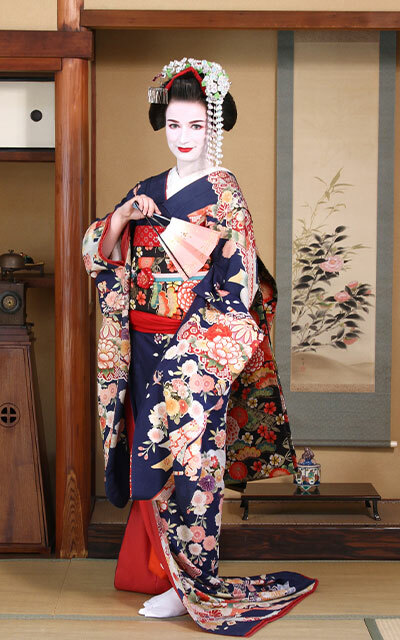 The kimono often has simple patterns, and calm colors, and the belt is tied in “otaiko”, a common way of tying a kimono’s sash (standard). 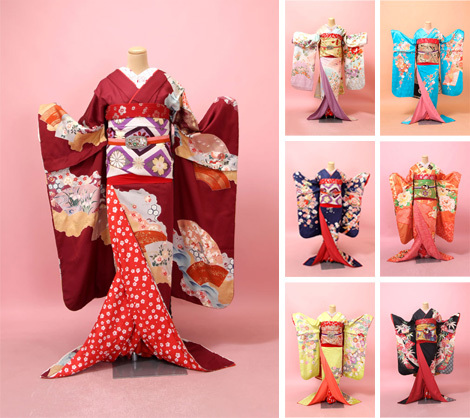 Please check our kimono catalogue. 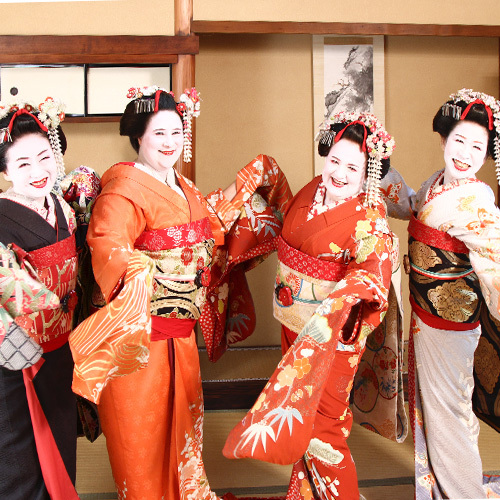 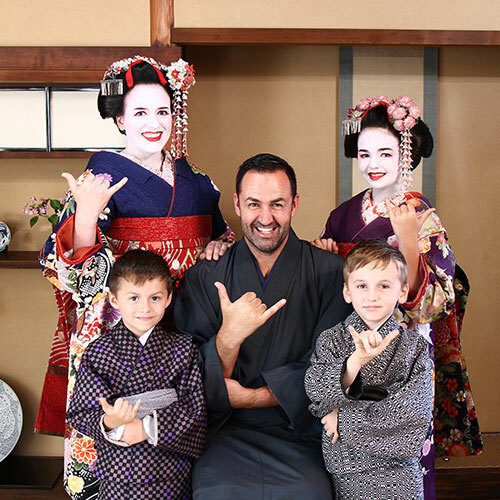 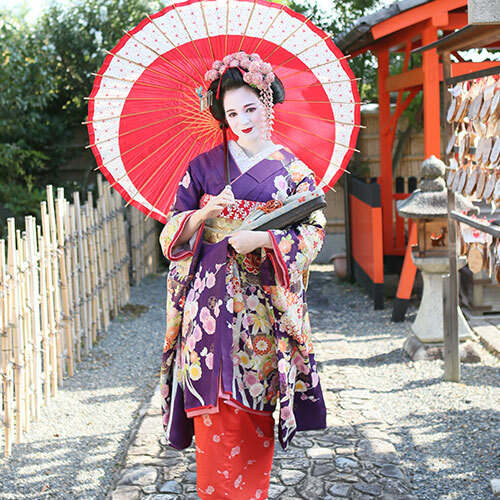 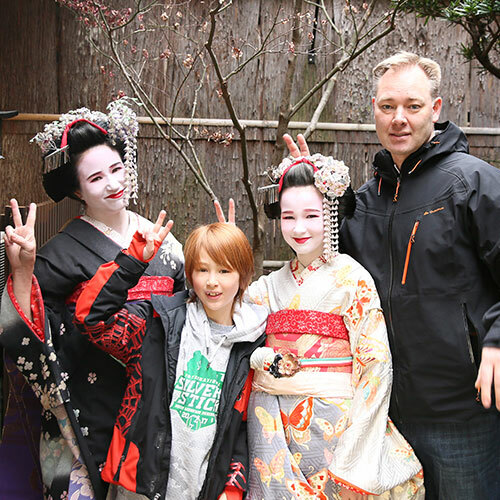 You can choose your kimono for your maiko transformation when you visit. 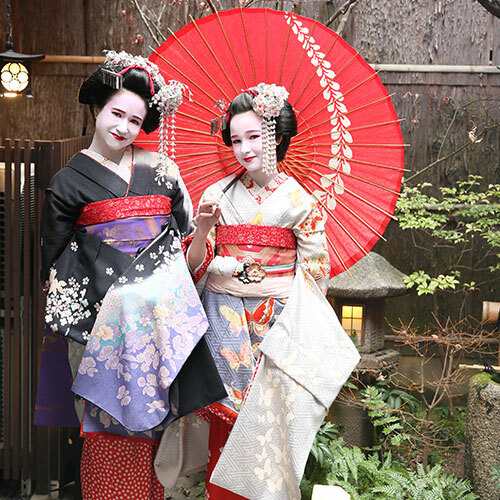 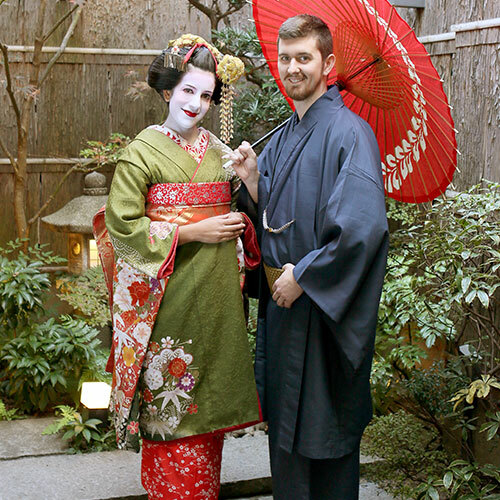 You can stroll around as a Maiko in the environs of our studio in the heart of Kyoto's legendary Gion district.